In this post I will give you basic understating of creating HTTP Services using ASP.NET Web API. Here I am assuming that you are aware of basic ASP.NET MVC. 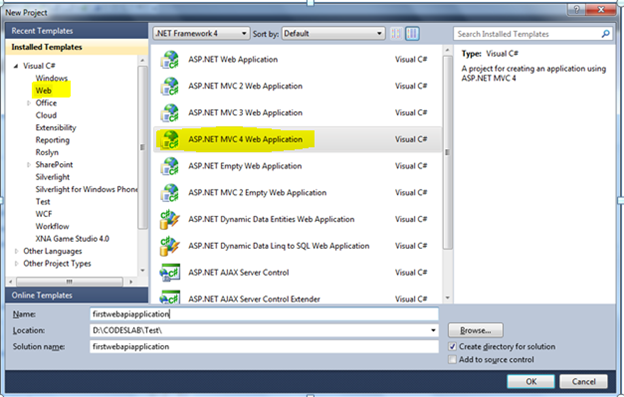 To work with ASP.NET Web API, you need to install ASP.NET MVC 4.0. Download ASP.NET Web API from here and install it from Web Installer. 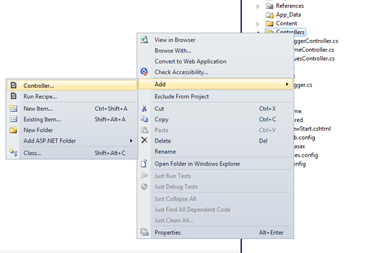 After installation create a new project choosing ASP.NET MVC 4 Web Application as project type. 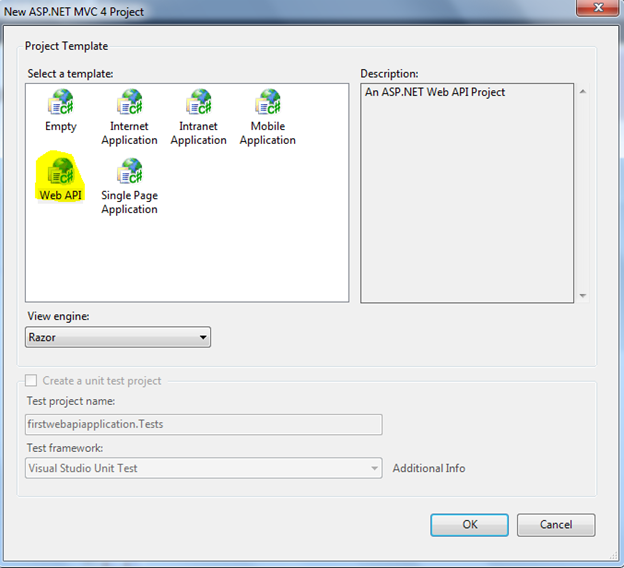 Next choose Web API as template. After adding Model let us go ahead and add Controller. There are two differences between Controller of usual ASP.NET MVC Controller and ASP.NET Web API Controller. ASP.NET Web API Controller is derived from ApiController class. Now go ahead and add a Controller called BloggerController. For that right click on Controller folder and add a controller. 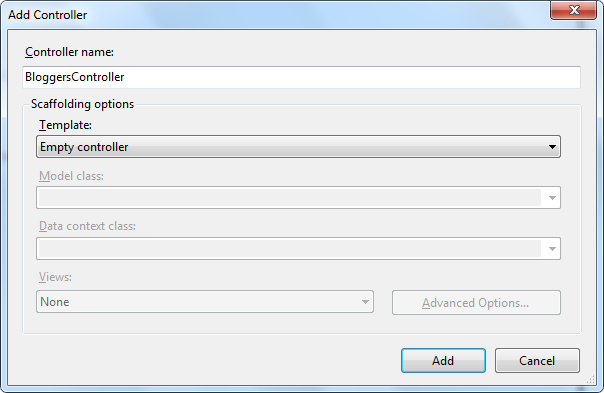 Choose Empty Controller as Scaffolding options. Next you need to change the class controller is inheriting. Change Controller to ApiController. Controller class needs to inherit ApiController class from System.Web.Http namespace. Let us add a function to return information about Bloggers. By this point you have created HTTP Service. Press F5 to host the service on Cassini server.